Sporty & stylish Boccia Polo-shirt in Superior “Lacoste” quality – for all Boccia lovers, male or female! 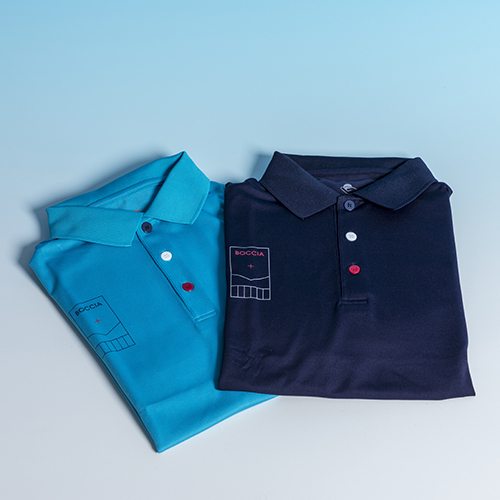 – with the boccia court on the chest, a small Handi Life Sport logo on the left sleeve and a red, blue and white button – to show your boccia spirit. Available in size: XS, S, M, L, XL and XXL. SKU: EXP1133. Categories: Ramps and other devices, Boccia collection.